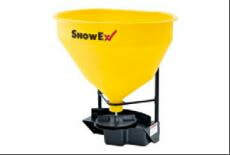 SnowEx’s SR-210 is a wireless salt spreader that comes with a vertical high-flow auger for spreading bagged rock salt and calcium flake. 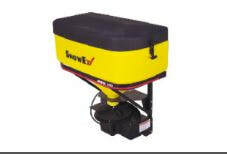 Simply install the unit into a 2-inch receiver hitch and connect the 7-pin harness for plug-and-play operation. Then, control the spreader with a pocket-sized wireless remote. SnowEx’s Mini Pro is ideal for small snow and ice contractors, as well as larger snow and ice operations that wish to complement their higher-capacity spreaders. The SP-575X comes standard with a receiver hitch mount and includes a fully integrated pendant-style digital variable-speed control unit. 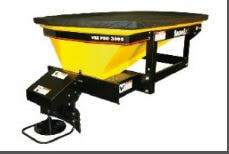 The SP-3000 salt spreader is the smallest spreader in the Vee Pro line and fits in the beds of both pickups and UTVs. 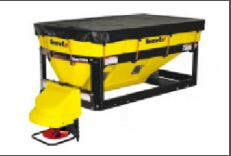 The Vee Pro 3000 has an auger feed system for spreading all types of material. 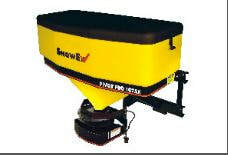 * The SP-3000 salt spreader ideal for the snow and ice professional with smaller spreading needs. 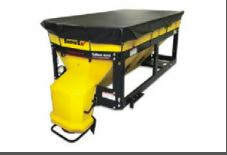 ​The SP-6000 salt spreader has a smaller capacity than the V-Maxx series, but it contains many of the same features to reduce maintenance costs and material waste. This includes polyethylene construction, an auger feed system and dual variable speed digital controller. 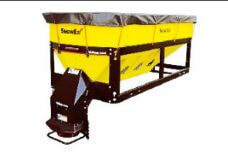 The V-Maxx 9500 offers the highest capacity (4 cubic yards) of any SnowEx spreader. It accurately spreads bulk salt, sand, or any combination of the two. 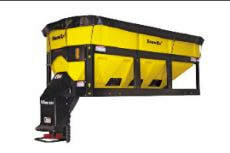 This makes it perfect for large contractors and municipalities looking to minimize material waste, as well as trips to the salt yard. 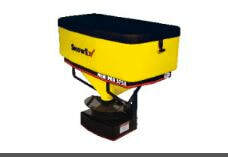 ​The V-Maxx 9300 is a fleet friendly salt spreader with high capacity for reducing your number of refills. 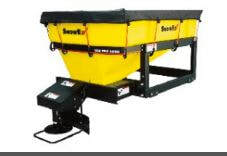 This spreader comes with independent spinner and auger controls and many other features to benefit large contractors and municipalities.